The first Joe Hill book I read was Nos4r2. That book was just fantastic and worthy of 5 stars. I was then really, really excited to get my hands on Heart-Shaped Box based on reviews I've read and the recommendation of the bookshop owner I got it from. Unfortunately, in my opinion, this book didn't quite add up to the hype. It wasn't really that scary, although there were parts of the book that made me gasp, which is what I wanted. The problem with horror books is that the 'horror' scene is sometimes built up over a few paragraphs, which takes away from the shock. There are no "jumpy bits", as my fiance likes to say. Scary scenes should be as sudden as possible to make the reader open their eyes wide and say "f@@k!" when they've read it. I've read action books that achieve that feat. Heart-Shaped Box doesn't have many of those moments, I'm afraid. Having said all that, this is a great attempt at a first novel, and still worth the read for any horror fans. Joe Hill, Stephen King's son, as most people might know by now, has a good sense of how to write. Of course, he was most likely taught by the best in the master himself. The problem is, in this attempt, he has stuck a little too closely to the typical horror formula. Not a bad rating - a good pass mark with 3 stars. Hellhole Inferno, Book 3 of the Hellhole Trilogy, has perfectly followed on from the previous two books, Hellhole and Hellhole Awakening. Quite often, a trilogy will have a great first book, but the other two could be very hit and miss. Not this. Hellhole Inferno kept up the suspense, action, drama and horror of the previous books. The 'movie scene' chapter style is engaging, keeping you turning the pages to see what is happening to the other characters on other planets. The way all three books have tied in to each other is truly impressive, but you wouldn't expect anything less from two great authors with a pedigree such as Kevin J. Anderson and Brian Herbert. I would highly recommend this series to any sci-fi and fantasy fans. A very solid 4.5 out of 5 stars. Book Review: The Ancient Future Trilogy, by Traci Harding. There will be three reviews coming, as this edition contains all three books of the trilogy. Traci Harding is an Australian fantasy author - well worth reading and following. Read on for reviews of The Ancient Future: The Dark Age, An Echo in Time: Atlantis, and Masters of Reality: The Gathering. This is the first book by Traci Harding I have read, and I have to say, I have a new favourite. Harding's writing is very entertaining, with just enough humour, romance and emotion to keep you hooked. The Dark Age is the story of Tory Alexander, a young Sydney woman whose parents are absent more than not. Her father is a renowned historian, specialising in ancient English history, dating back to the Druids, Saxons and English peoples of the 6th Century. Her mother is a famous classical musician who travels the world as well. On a trip to England, Tory makes an unplanned visit to the famous King's Men historical site, similar to Stone Henge, where her hire car has broken down. It is the Summer Soltice, a magical time, and Tory falls asleep near the monument. When she wakes, she has suddenly been transported back to the 6th Century, where she embarks on a life-long adventure, where her skills in the martial art of Tae-kwon Do and her modern attitudes make her an instant favourite amongst royalty and the people in general. However, there are hard times ahead, as she becomes High Queen and leads her people through a war with feuding kingdoms and the invading Saxons. This adventure contains loads of action, drama, magic and politics, with a healthy dose of humour and romance. Any fan of fantasy and historical fiction will absolutely love this book, and indeed, the series (this is book 1 of 3). I read some reviews about this book before reading it immediately after Book 1. Some of those reviews were not very glowing. Normally, I disregard these until I've read the book myself, as is the right way, and I don't always agree with them. This time, I almost did. However, I still enjoyed this book and have launched into Book 3 already. In 'An Echo in Time: Atlantis', our hero, Tory Alexander, has made her home and life back in the 6th century, with her husband Maelgwyn, and her son Rhun. 20 years have passed and Maelgwyn has fallen ill to the plague. The only way for Tory to save him is to travel back to where it all began - roughly 12,000 years in the past, to the fabled city of Atlantis. There she finds the most advanced culture and society ever known, where humanity has reached a heightened level of consciousness and has developed the type of technology that would put what we know today to shame. Her quest leads her to find a potion that will save Maelgwyn - an immortality potion. But is she too late to save him, and will the evil witch, Mahaud, foil her at last? Traci Harding has built the world of Atlantis in such a way that you believe it actually did exist in this form. However, my biggest criticism is the amount of cupid-style match-making Tory is involved in, which seems to be far more than in Book 1. Some of this stuff is OK, but not to this level. The concept of every person pairing with every other person (seemingly) is even more far-fetched than a fantasy novel warrants. But, I enjoyed every other aspect of the story. Here's hoping that Book 3, 'Masters of Reality: The Gathering', backs off the hooking-up a bit. This is book three of the Ancient Futures series by Traci Harding. Tory Alexander continues her adventures in time, this time shooting into the future - a future where the Earth has almost been destroyed by the Nefilim, the master race that is the origins of Homo Sapiens. Basically, they hate us because of what we have done to our planet. In this story, Tory continues her evolution and explores her powers further. Her son and husband come back into the picture to guide her, but I found it a little frustrating that they have developed their powers and abilities a lot further than she has. It just didn't seem to fit in with the impressions generated in Book One - that Tory will be the 'be all and end all' of time travelers and psychics and protect mankind forever. Instead, Tory has spent her immortal life worrying more about everyone else's love lives. Gone is the hard-arse tough chick who could kick your head in with her Tae-kwon-do skills. What is left is a soft, emotional girl who is just a shell of the woman depicted in the first book and a half. Having said that, I did still enjoy this book, which moved from mystical fantasy to futuristic sci-fi. It has finished off the series, but I don't think it did so with the same flair as it began. 3 stars. This is not the type of Stephen King book I remember from when I as younger. But, that doesn't mean it wasn't good - just different. There is no horror, only a little bit of suspense, but it did have a slight religious/supernatural undertone - until the end, that is. Then it ramped up but only in the last chapter. This is the story of Jamie Morton, written from his perspective as a sort of memoir. The story starts when Jamie was 9 years old, back in the '60's. A new pastor has come to town, a young man in his 20's, with a beautiful young wife and adorable 3 year old son. Everything seems to be idyllic in the little country town in Maine, until tragedy strikes the pastor's family. From there, he starts to lose the plot. But, the pastor has a love of electricity, which he takes to the extent of researching and experimenting on the power of a "secret" electricity he has discovered - far more powerful and useful than standard electricity. He has found medical uses for it and can heal the un-healable with it. But, his type of miracles come with a price, and some disturbing aftereffects. Jamie's own life goes through it's own downward spiral, including alcoholism and drug addiction. The pastor also helped Jamie overcome his addiction, but from that point on their lives were destined to cross paths a number of times, leading to a climax which reveals what is on the 'other side' of death. My rating is edging towards 4 stars, and would have achieved it if there was a little more scary stuff in the book, but that is just my preference. 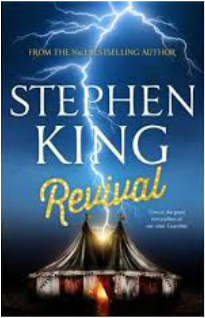 King's writing has tended to drift a little more towards the normal spectrum, with less monsters and scariness, but I still enjoyed this book and found myself turning the pages quite easily. A solid 3.8 stars for me. I haven't seen the movie Gone Girl, and to be honest, I don't think I will - because it cannot possibly do this book justice. Gone Girl is the story of Nick Dunne, and his gorgeous wife, Amy, who is the main inspiration in a long running series of kids books written by her parents. As a result, Amy has lived a relatively easy life, never having to worry about money. Nick, however, is a magazine writer, who hasn't had such a perfect childhood. An odd match, perhaps, but seemingly happy. All is going well for Nick and Amy until they both lose their jobs in New York and have to move back to Nick's small hometown on the Mississippi river. One day, Amy disappears, signs of a struggle pointing to a violent kidnapping, possibly murder. Nick is the prime suspect. All evidence is pointing to him, yet he maintains his innocence. What happened to Amy? Is Nick really innocent? I won't give away any spoilers here. This book is written in a fascinating he said-she said way, with Amy's side told as diary entries leading up to her disappearance, and Nick's side told from the day of the disappearance. I have never read a book where your emotions range from feeling for the characters, to actually disliking almost all of them at some point. It is very well written (except for an annoying habit of capitalising the first word after a semicolon, but that's the editor in me coming out), gripping and totally un-put-downable. I will definitely be seeking out Gillian Flynn's other work. Highly recommended. 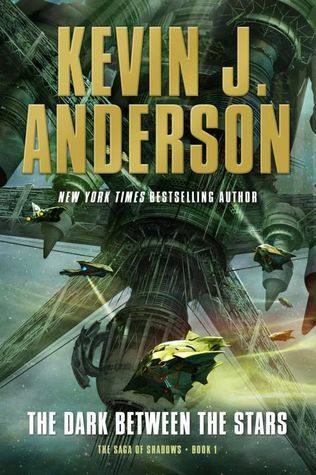 I've read the Hellhole books that Kevin J. Anderson co-wrote with Brian Herbert. They were to date the best sci-fi books I had ever read. The Dark Between The Stars rates up there with them. Each chapter is written about a particular recurring character and what is happening to them at this point in time. At the start they seem separate and disconnected, but towards the end it all comes together. The book is the first of a new trilogy which follows The Saga of Seven Suns, which I have not read. Kevin makes mention of the Saga throughout this book, but it is not necessary to have read the Saga before embarking on this series. I highly recommend this book and can't wait for book 2. Oh, and I'll be hunting down the Saga of Seven Suns too. By Oliver Bowden, published December 2012. Part 5 in the Assassin's Creed series, based on the video game franchise by Ubisoft. This is my review, posted in Goodreads, 23 March, 2014. I quite enjoyed this book. It was a fast read with some good action scenes, but it didn't grab me hard enough to classify it as one of my 'favourites'. Set in the mid 1700's to early 1800's, Haytham, the main protagonist, unknowingly starts out being trained by his father in the ways of the Assassins, and ancient order who believe in freedom from tyranny and the right to 'question' the mainstream way of life. However, after his father is slaughtered by the rival Templar order and his sister kidnapped, Haytham falls under the protection of Reginald, his almost-to-be (until his sister was taken) brother-in-law, who happens to be a Templar knight. Reginald then raises and teaches Haytham in the ways of the Templar, which follows a more traditional, conservative path than the Assassins. But Reginald is obsessed with the legend of what he calls "Those That Came Before", a race of humans dating back to before the current species of mankind. The legend states that if a particular relic can be located, the race that holds this relic will rule the world forever. Of course, this doesn't necessarily fall into place with the Templar teachings, and Reginald's ruthless and brutal betrayals and manipulations finally culminate in a showdown between Haytham and himself. The story takes you around the New World, from Great Britain to America, at the time of the American Revolution, to the Damascus in the Ottoman Empire. It is written in an interesting journal style, which follows a natural timeline, with some flashbacks, but it was quite easy to follow. My main criticism is at the start of the story, where Haytham is only ten years old, but apparently writes the same way he does when he is an adult. Even in the late 1700's, it's unlikely that a ten year old would write in that manner, but if you can put that aside, it is quite enjoyable. 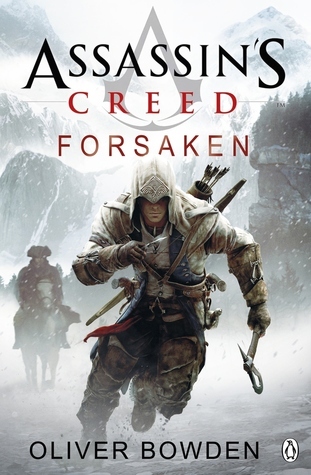 Although I only gave it a 3 star rating on 'Goodreads' (I couldn't give it a 3.5, I didn't get that option) I am still keen to read the other Assassin's Creed books. They are a good, easy, enjoyable read, and great escapism for those that like that kind of thing, as I do. BETA READING - a new service and a new Special Offer for 2014! Hi everyone. I'm really excited to be able to offer a new service for 2014 - Beta Reading. Having your manuscript read by average readers is a very important part of writing and developing your work. Having family and friends read your story and give you honest, constructive feedback can work very well and gives you a great idea of what readers want to see. Having a professional read your work can be even more beneficial, as the feedback you would receive is about as honest as can be, as there is no emotional bias. For a small nominal fee (depending on the size of the manuscript) I will read your work and provide detailed feedback and suggestions on how you might be able to improve it. Have your work "beta read" and receive 30% OFF ANY FOLLOW UP COPY EDITING OR PROOFREADING services ordered through LFC Editing. Simply message me via my contact page or email me at lfcediting@outlook.com for more details, or to arrange your reading or editing needs. I hope this post finds you all well - reading, writing and editing like mad. I want to share with you all my latest achievement. I recently received my Certificate in Publishing (Proofreading and Copy Editing Essentials) from Australian College, as well as my Academic Transcript showing my step-by-step assessment results. I don't normally like to brag, but when I get Distinction and High Distinction ratings for every module, I think I'm a little entitled to. 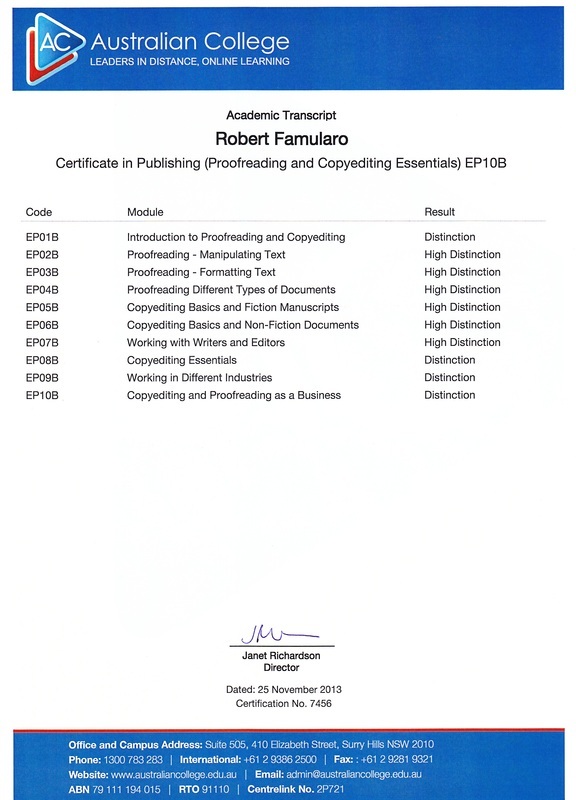 Also, considering this course took me a lot longer than expected to complete due to personal dramas, I think that's one hell of an achievement. 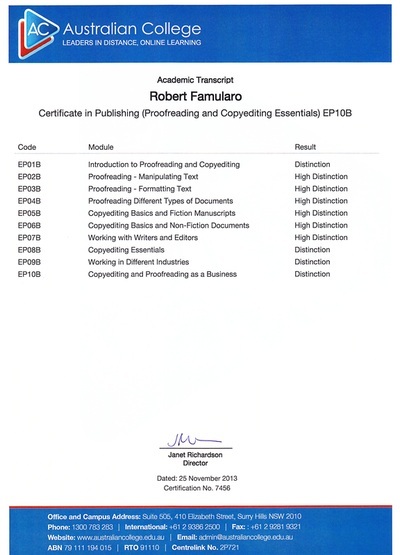 I've posted a copy of my Certificate and Transcript below. 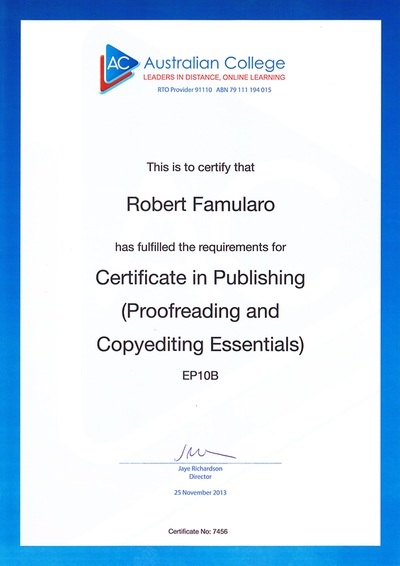 So any of you writers out there looking for a copy editor or proofreader, I'm more than ready to go. "... Our Academic goal is to offer students a rigorous and challenging learning experience. You proved you were up to the challenge by achieving a high academic and personal result. Through your enriching discussions with faculty, staff and fellow students, you were able to build on your strengths and grow in areas that perhaps surprised even you." If I don't post again for a while, I wish everyone a Merry Christmas and an awesome New Year.